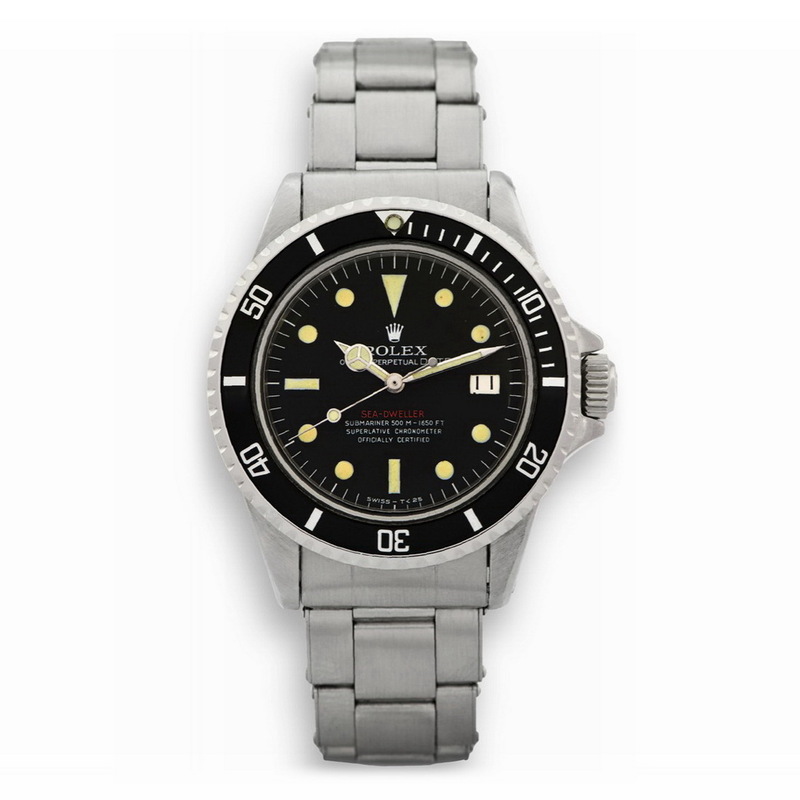 By TLex A Rolex Sea-Dweller has just sold at auction for more than half a million dollars! The extremely rare Rolex dive watch owned by a Japanese collector was one of only six known 'Single Red' Sea-Dweller Submariner Ref. 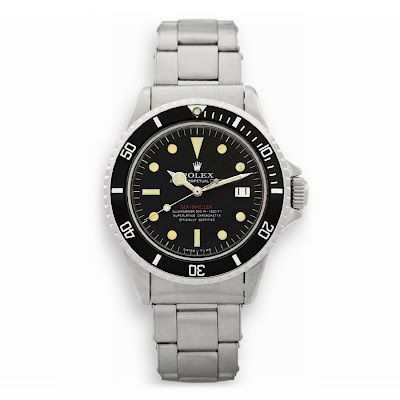 1665 Prototype watches made in 1967. It came on a Stainless steel Rolex Oyster Ref. 7206 bracelet with patent pending extension link. I wonder where the other 5 pieces are?! The watch (lot 126) was part of Antiquorum's November auction of Important Modern & Vintage Timepieces held in Geneva, where it fetched an outstanding 490'900CHF (inc. buyer's premium), more than 400% its already inflated pre-sales estimate of 80'000 - 120'000CHF, which is a new world record for the the highest price ever paid for a Rolex Submariner!